Partnership aims to address issue of growing demand for third-party orchestration of complex IT estates. Fujitsu today announced extended partnerships with SAP and Oracle, with the goal of a simpler, more effective digital transformation for its customers. According to the company’s press release, there is a growing demand for third-party orchestration of complex IT estates, and this new partnership aims to address that issue. This can be achieved through Fujitsu’s partner ecosystem and industry knowhow. 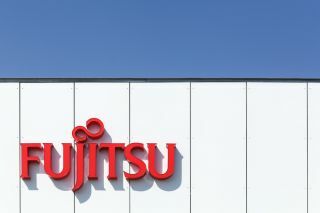 Fujitsu will offer its clients an ‘extensive choice of cloud providers, spanning multiple hyperscale services and platforms’. That way, its customers get a solid line-up of integration and operations services. Other Fujitsu’s partnerships also include Microsoft and VMWare, and the company said it will expand the lineup in the future. The company also said it is training some 10,000 people, all over the world, in multi-cloud certifications – a field with a serious skills gap. “Fujitsu is closing the internal execution gap for enterprises embracing hyperscale cloud and we are now successfully positioned as the industry-leading global multi-cloud service provider and integrator and reseller,” commented Conway Kosi, SVP, Head of Digital Technology Services, at Fujitsu EMEIA.